OKAMURA SABRINA Standart Office Chair Dark Blue. 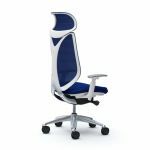 In Okamura philosophy, comfortability and design does not contradict but interconnect. OKAMURA Sabrina Office Chair is another representation of this. 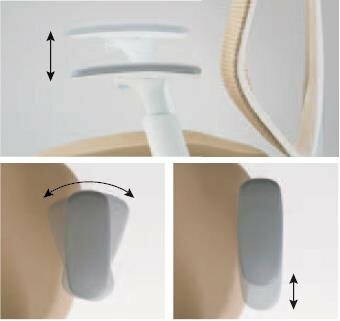 Holding the body and following the body movement both during sitting experience - made possible with one simple part, a symbolic ring structure. 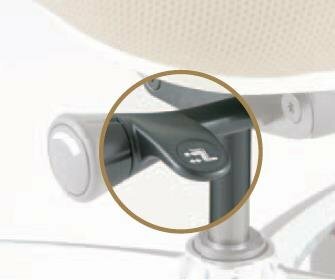 Streamlined design of the part is coherently seen in adjustable arms and aluminum legs as well. You can see this iconic ring structure not just in back view but from front view through permeable mesh back for which you have ample color variation to choose from. This one whole part of ring structure, which will be a synonym for Sabrina, is newly developed, full of technology. 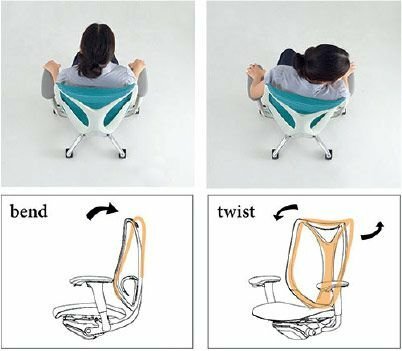 While the center frame firmly supports the person sitting, the side frame, forking left and right, allows for an adequate amount of bending to follow the weight distribution of the body. 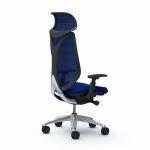 A highly permeable mesh fabric provides a flexible and comfortable sitting condition. 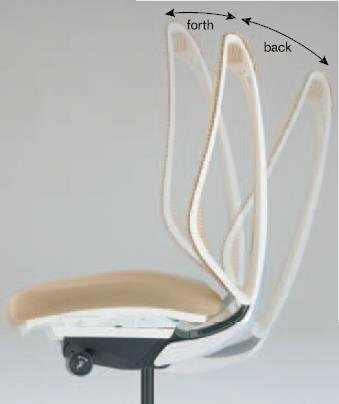 Synchro-Reclining function enables the chair’s backrest and seat to be synchronously reclined. The maximum angle is 23 degrees for back. 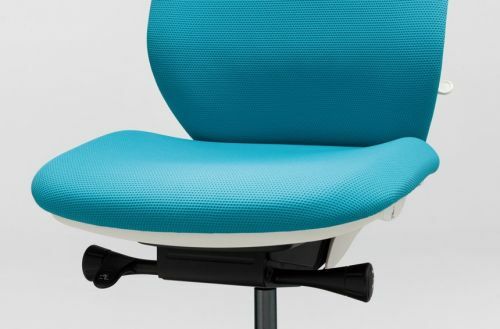 The leverl located at the bottom-right of the seat is used to adjust the seat height. The dial located at the bottom-left of the seat is used to lock and unlock the recline. 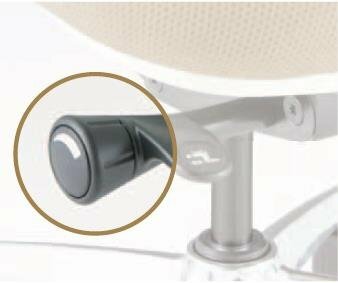 The lever is also used for tilting forward as well. 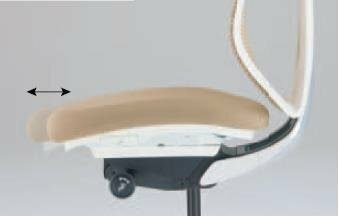 The reclining tension adjustment can be adjusted by the operation of the dial located at the bottom-right of the seat. 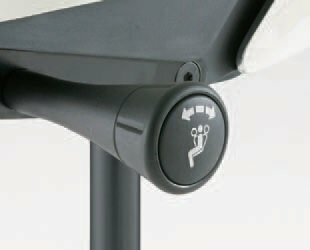 The seat can be slid back and forth in the range of 50mm by use of the lever located at the bottom-left of the seat. 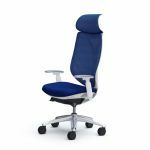 The lumbar support that firmly grasps the lower back can be adjusted within a vertical range of 60mm to match your physical requirement. 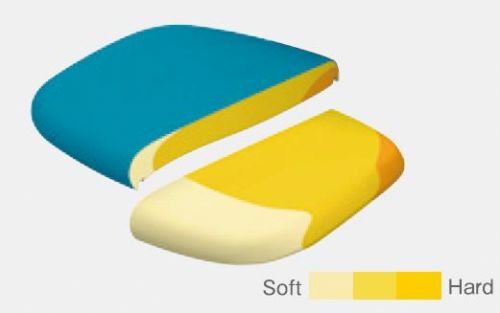 The up and down (1D), angle (2D), and back and forth (3D) positioning of the elbow pad are adjustable. The respective movable ranges are 100mm for up and down, 20 degrees for inside, 20 degrees for outside, and 40mm for back and forth. 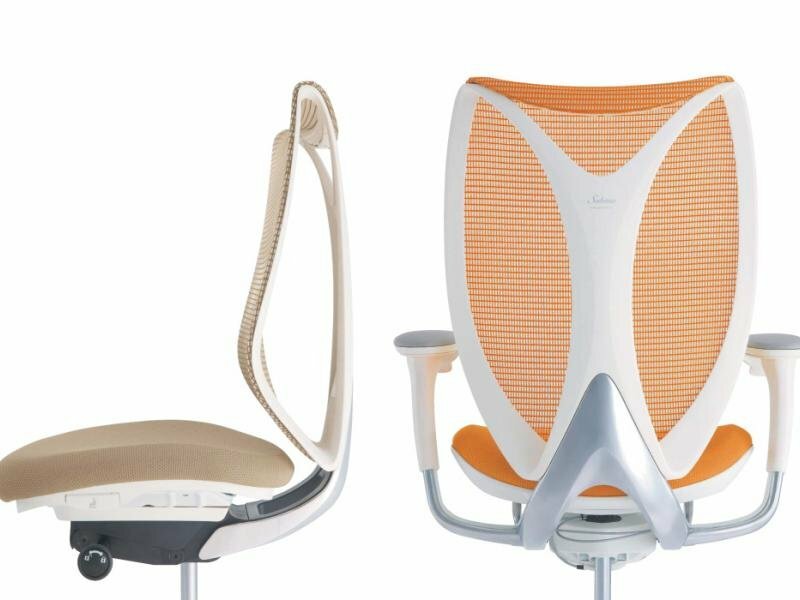 The large headrest will gently support the back of the head.